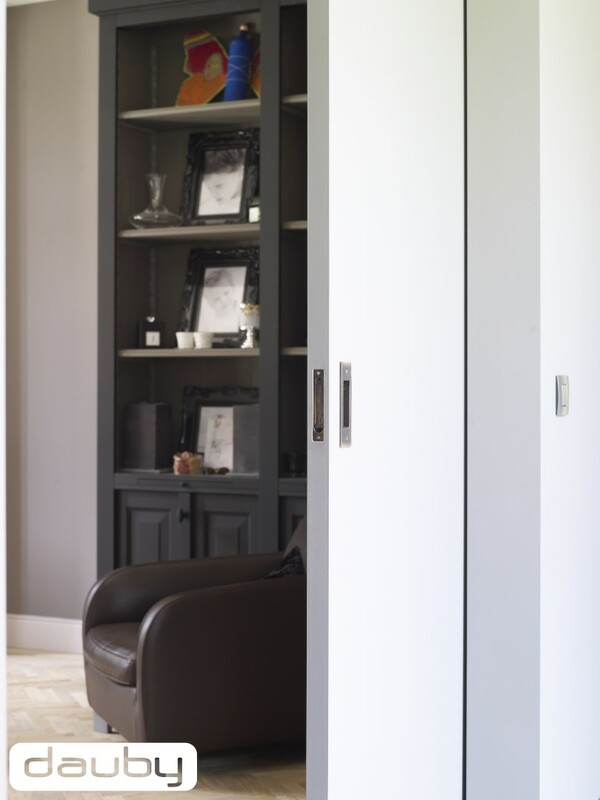 Dauby Blog Door fittings Have you opted for a sliding door? Then think carefully about which door fittings to use! Have you opted for a sliding door? Then think carefully about which door fittings to use! A sliding door is a perfect space-saving solution in any interior. You can create separate units, without losing space, by adding a sliding door. But have you also given thought to the door fittings? Can you think of anything more delightful than opening your gardening doors on a lovely summer evening and enjoying the last rays of the evening sun on your terrace? An outside door creates additional living space with a contemporary, modern look. Especially when you combine it with the right door fittings. your door fittings for your outside doors to secure your door adequately. Choose lift and slide handles for lift and slide doors as this must be fitted to an existing lock box and lift and slide mechanism. Dauby’s lift and slide handles fit seamlessly on these locks, making it relatively easy to replace the existing lift and slide system with lift and slide handles in the same material as your inside door, window and furniture fittings. As a result, your door can close and is secured, and you can also match it with the rest of your interior design scheme. Do you want a door that slides open completely? Then choose a sliding door pull. Don’t mind seeing part of your sliding door protrude after opening it? A vertical handle is definitely a better option in that case. When the door slides open fully and you want to make full use of the door opening, we recommend choosing a sliding door pull. This is integrated in the door so you can slide the door open in between two panels or along a wall. This aesthetic solution works well in most minimalist, sleek design interiors. Do you have enough space to leave the sliding door open, in the door opening? Then a vertical handle will look just as good and is just as practical. You can easily grab the handle on both sides and open or close your sliding door. Here again, functionality and beauty matter! Obviously you want your sliding door fittings to match your interior. 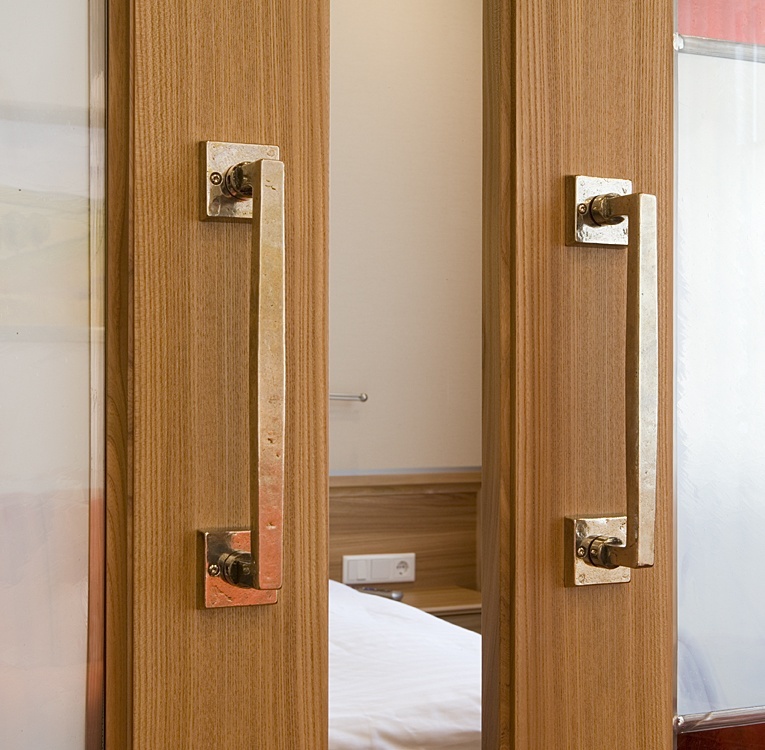 The colour, shape and material of your sliding door fittings will also enhance its look and feel. Which is why we recommend choosing sliding door fittings that match the style of your interior, and the window and door fittings in it. You create a harmonious and stylish interior by using the same materials on all your inside and outside doors. While details create perfection, perfection is never a detail! Did you find the perfect sliding door for your home? 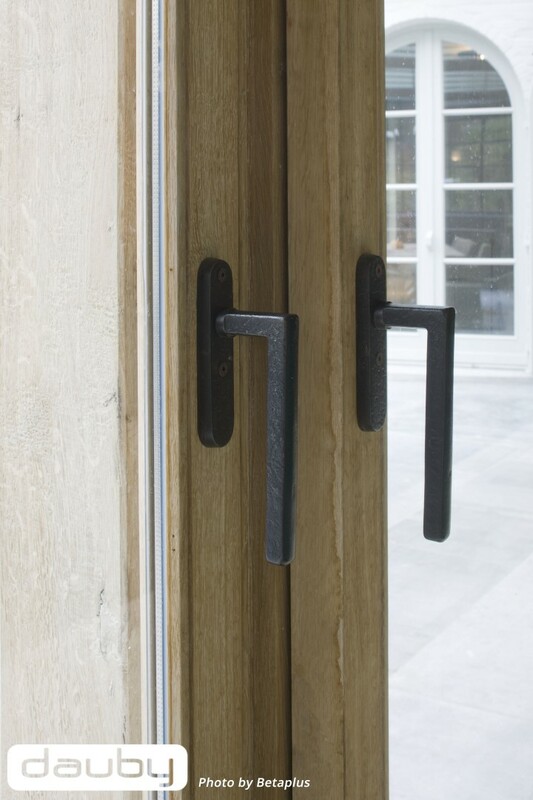 Not sure which sliding door fittings to choose? We have the right solution and look for every type of sliding door, while always paying attention to functionality and aesthetics. Ask Dauby for advice and we will gladly help you find the right sliding door handle.